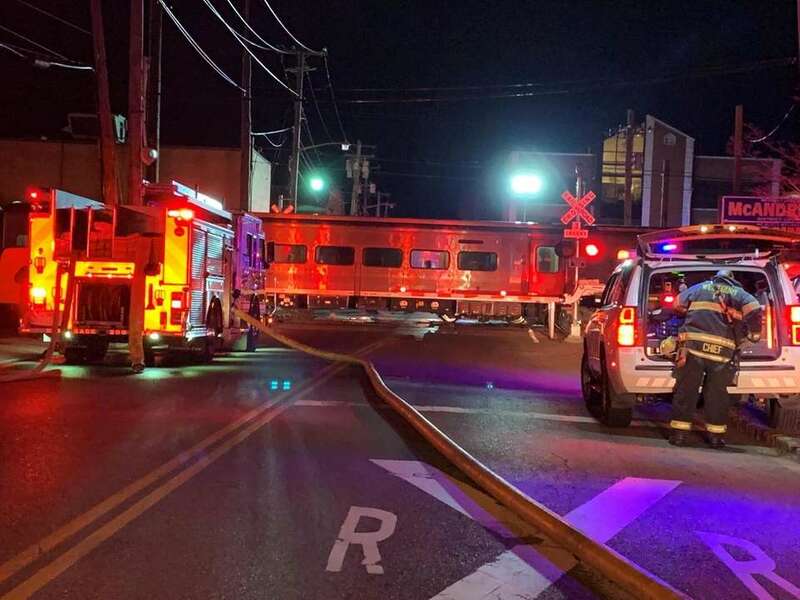 On Tuesday, an eastbound LIRR train that just pulled away from Westbury struck a vehicle at the School Street crossing, police said. 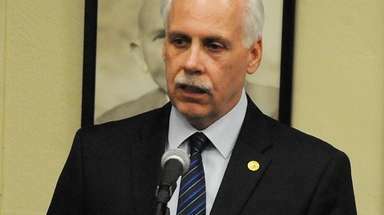 The vehicle was then struck again by a faster-moving westbound train. 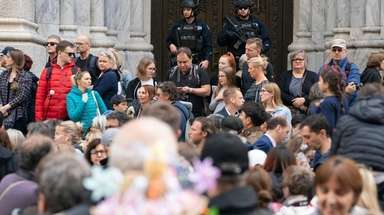 Three people inside the vehicle were killed, and seven people suffered minor injuries onboard the westbound train, which was carrying about 200 people. 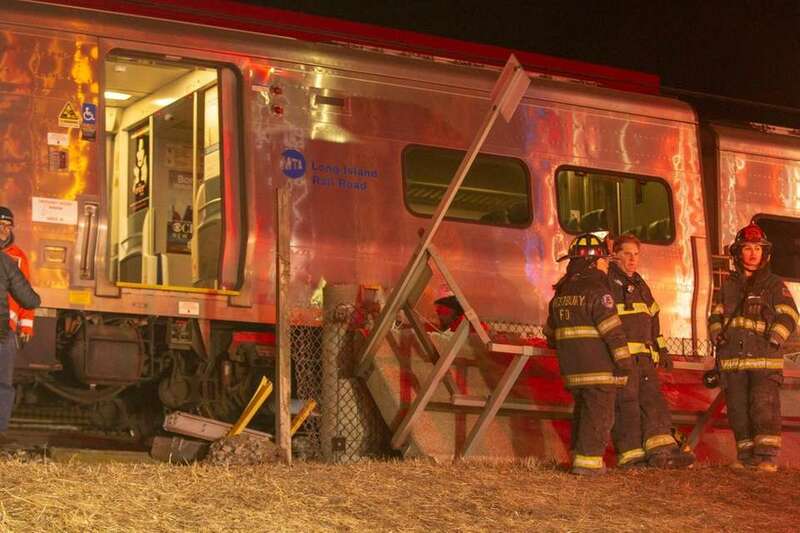 Also, take a look at photos of other LIRR train collisions. 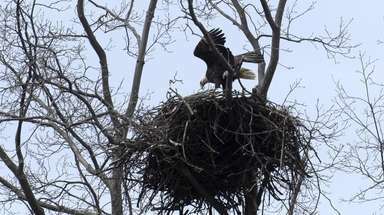 The westbound train that crashed into the Westbury platform on Tuesday night was still there Wednesday. 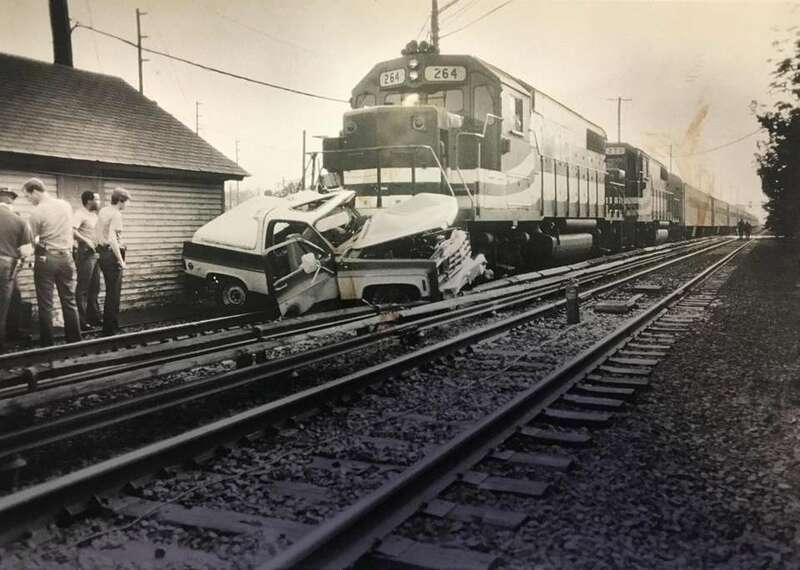 The train derailed after it crashed into a vehicle at the School Street grade crossing. 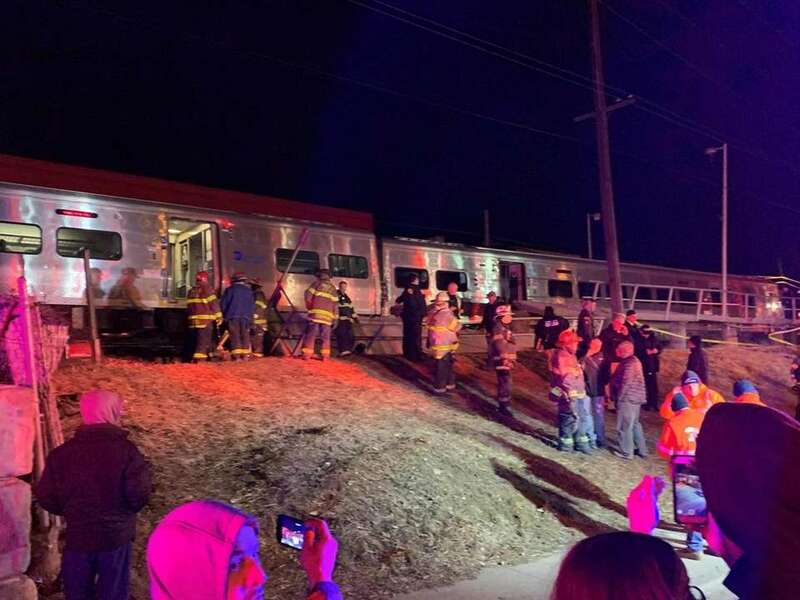 The westbound train that crashed into the Westbury platform on Tuesday night seen on Wednesday. 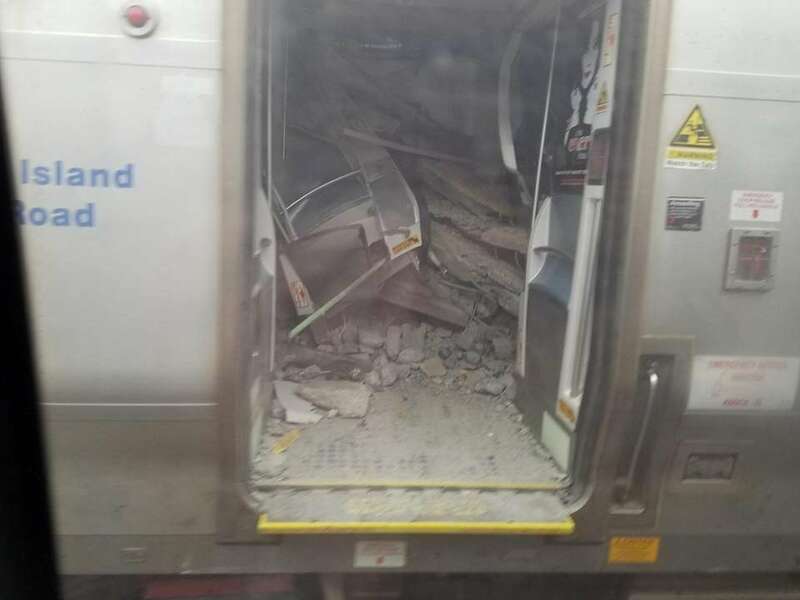 The interior of one of the train cars involved in the fatal crash Tuesday at the School Street crossing in Westbury. 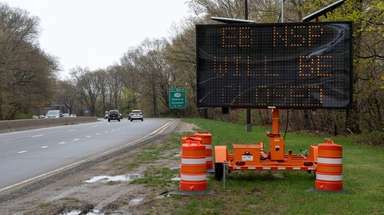 Firefighters at the scene in Westbury after a vehicle was hit by two trains on Tuesday. 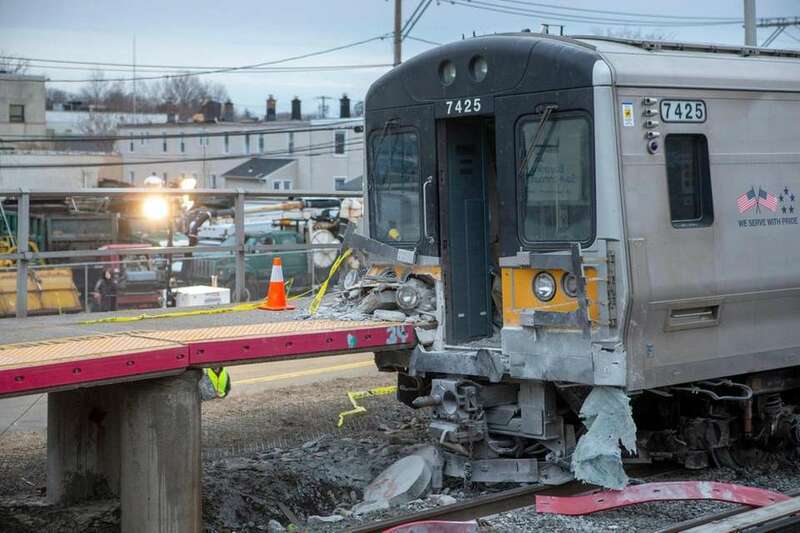 Emergency crews work on a LIRR derailment at the Westbury station on Tuesday. 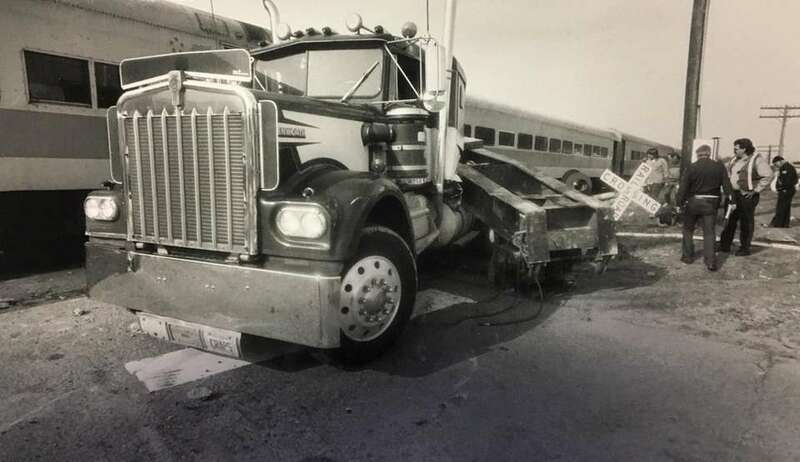 A tractor trailer truck with precast cement products was struck by the LIRR train when it stalled on the tracks at Orchard Street in Bellport on May 11, 1992. 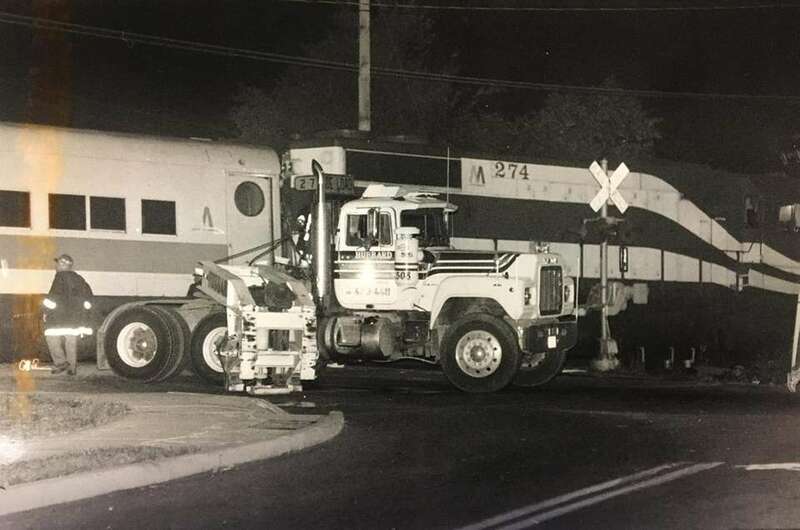 A Long Island Rail Road train smashed into a tractor-trailer stuck at a grade crossing in Huntington on Aug. 25, 1988, derailing the train and injuring 18 people aboard, none seriously. 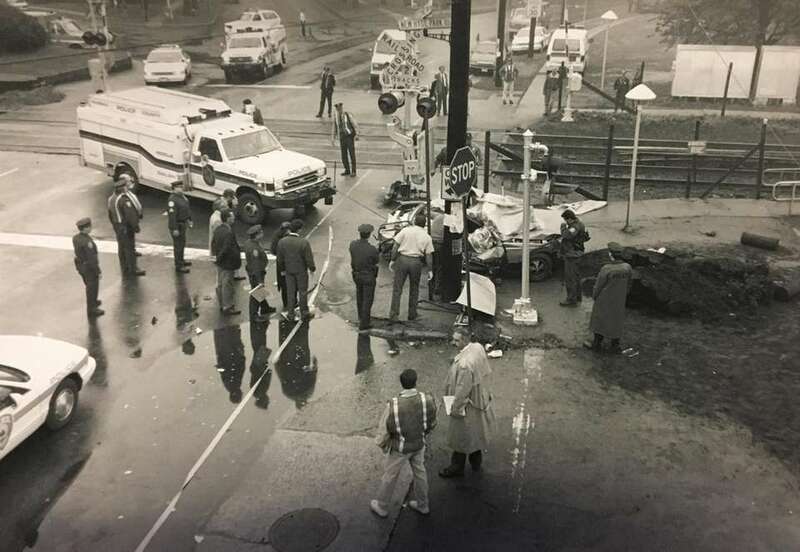 A Valley Stream woman was killed on Oct. 21, 1993, when a traffic jam pinned her on a Long Island Rail Road crossing, and a fast-moving train slammed her car into a utility pole as she desperately tried to move out of the way, Nassau police said. 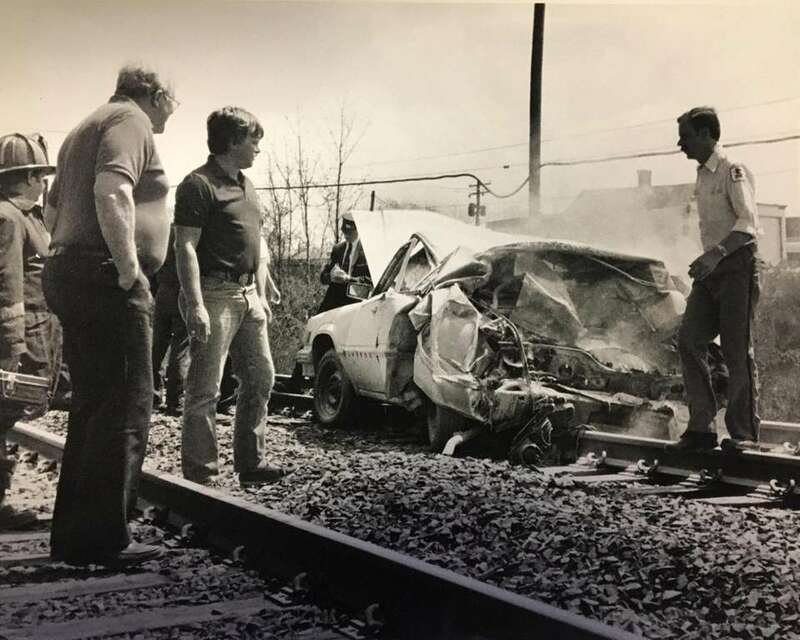 The first car left the tracks and sailed into the Kleet Lumber yard on Park Avenue after a Long Island Rail Road train smashed into a tractor-trailer stuck at a grade crossing in Huntington on Aug. 25, 1988. 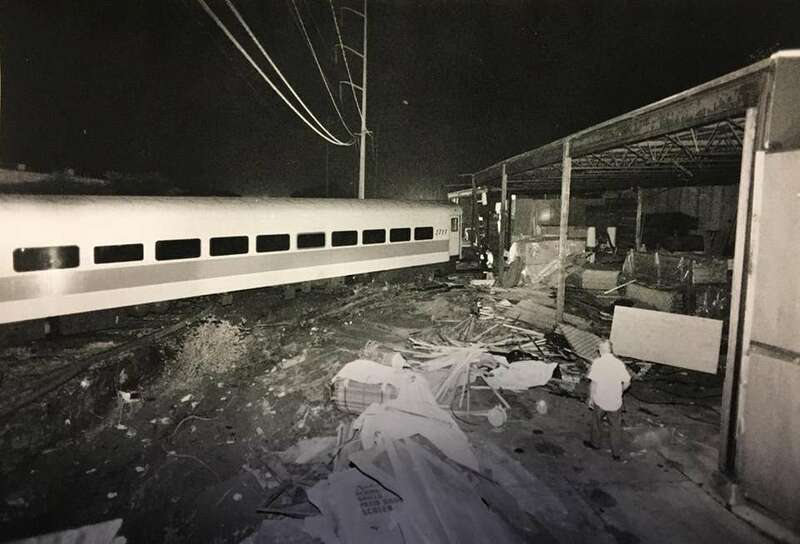 A Long Island Rail Road train on May 11, 1992, rammed a truck stuck on the tracks in at the Bellport Station in East Patchogue with a load of 21 tons of concrete drainage vaults, injuring 16 people and delaying 1,800 commuters. 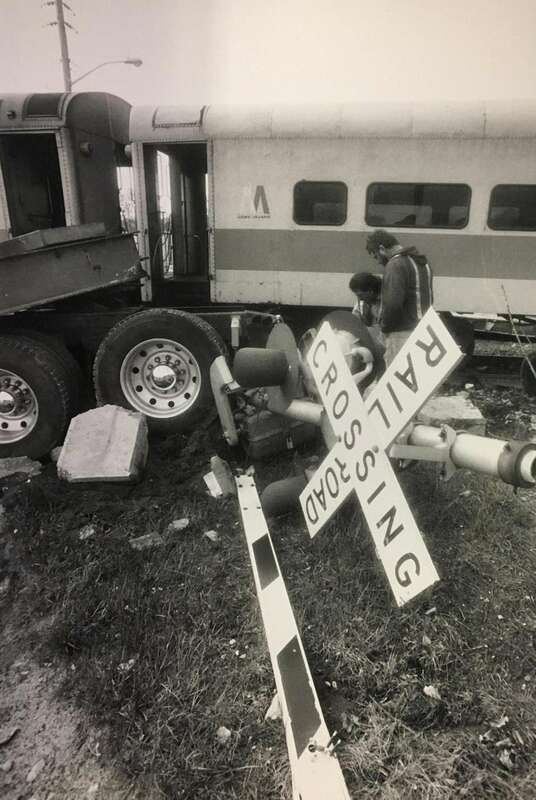 A truck crossing the gate at the LIRR crossing at Roslyn Road was struck by the LIRR train on July 22, 1984. 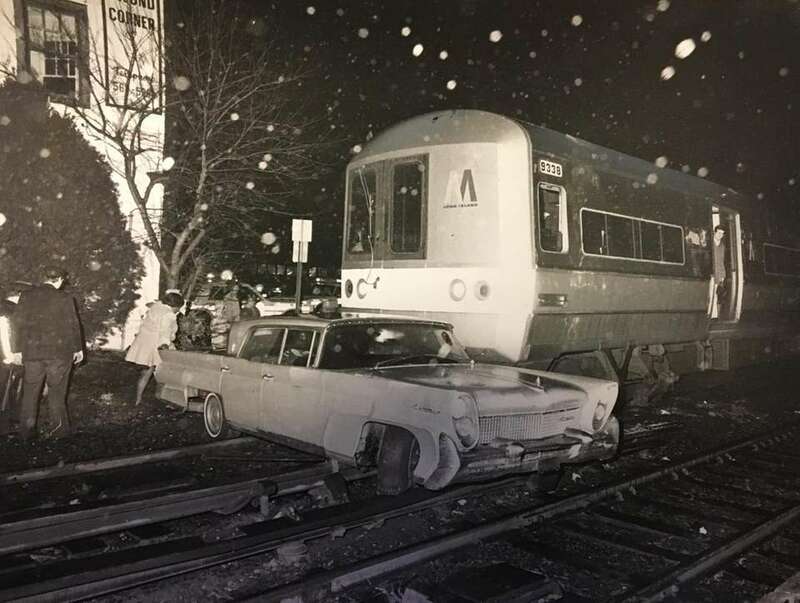 An LIRR train struck a stalled car at West Broadway and Mill Road crossing in Hewlett on Dec. 1, 1985. 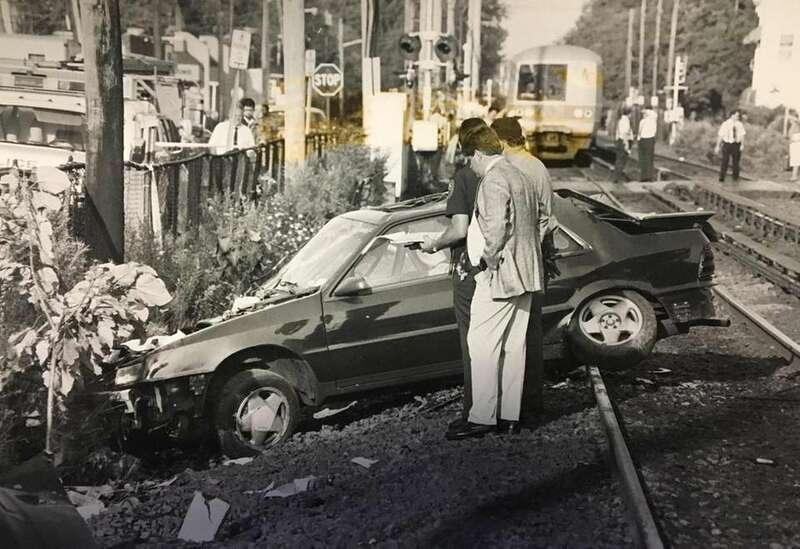 An unoccupied car driven by a woman from Copiague and her daughter escaped injury in the 11:45 a.m. accident after the vehicle was struck and dragged by a westbound LIRR train at the grade crossing at Clinton Avenue railroad crossing in Bayshore on April 28, 1986. 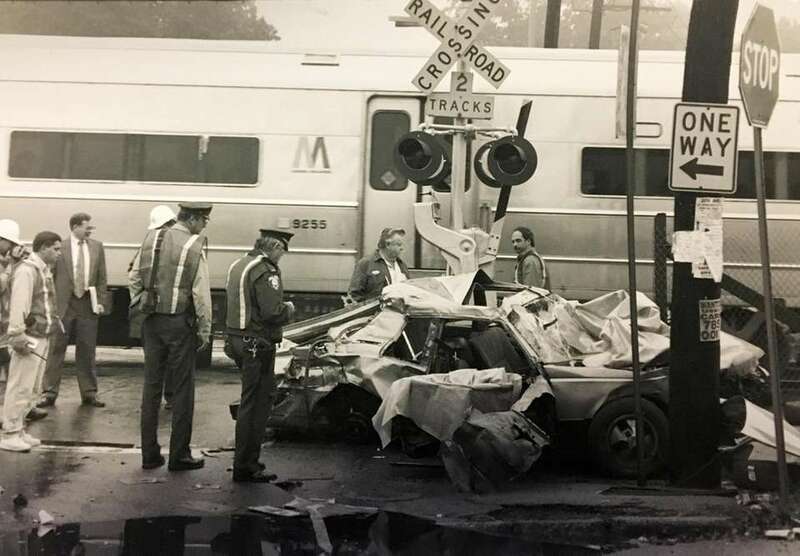 Police investigate the wreckage of a car that was involved in a fatal LIRR crossing accident just west of the Farmingdale Station on Aug. 12, 1992.